Landscaping indicates improvement made on a property’s ground either in a practical or aesthetic manner. Sustainable landscapes are responsive to the environment, re-generative, and can actively contribute to the development of healthy communities. They clean the air and water, increase energy efficiency, restore habitats, and create value through significant economic, social and, environmental benefits. Our sustainable landscape services include design, installation of new landscapes or renovation, turf renovation, over-seeding, mulching and proper plant selection to reduce water consumption while minimizing erosion, runoff and the use of chemical fertilizers and pesticides. Apple Valley can help offset the tendency for landscapes to use large amounts of artificial fertilizers and herbicides, by relying instead on compost, compost tea, soil management and natural techniques. We select and install plants that are tolerant and well adapted to the difficult environmental conditions we have in Oklahoma. 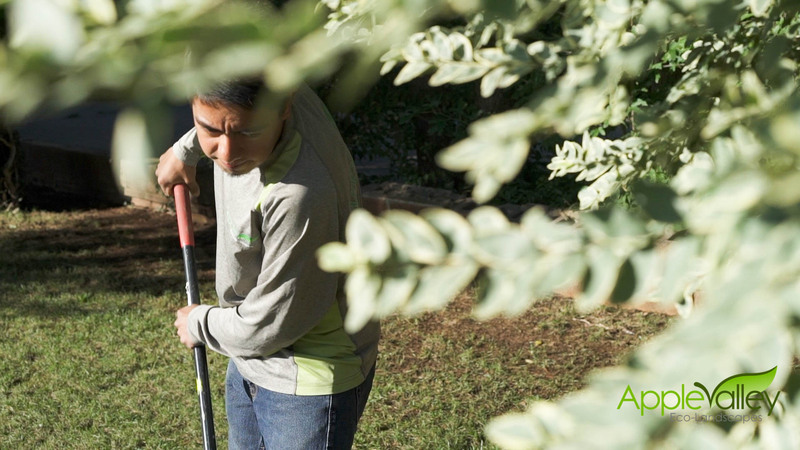 If you’re interested in an eco-friendly landscape that is the talk of the neighborhood, ask about our customizable sustainable landscaping services! Many landscaping companies use loud equipment that is disruptive to the neighborhood and to the homeowner. 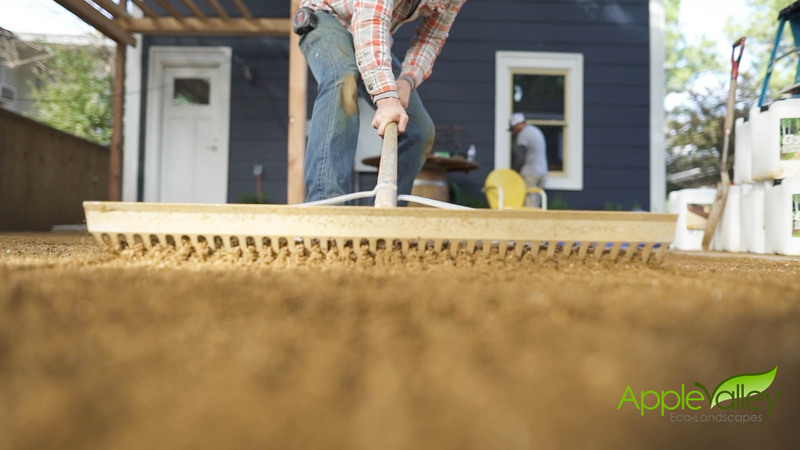 At Apple Valley Eco-Landscapes, we mostly use electric-powered equipment. Our electric-powered equipment runs whisper-quiet, so you rarely have to worry about the baby waking up, neighbor complaints or any of the other nuisances associated with gas-powered equipment. Electric power is also more eco-friendly, which is what we always strive for at Apple Valley Eco-Landscapes. In addition, all the products we use on your lawn are eco-friendly and safe for your children and pets. We believe that the best landscapes can be experienced in a tactile way as well as in a visual way. With our landscaping services, you and your loved ones can safely walk barefoot, relax or even have a backyard picnic without fear of exposure to harmful chemicals. Our first step is an on-site initial consultation. During this time, we carefully listen to your landscape goals. We review the property, taking special note any outstanding natural elements such as trees, boulders, etc., that might be beautifully incorporated into your landscaping. We then offer our advice based on expertise and experience. Together, we come up with a landscaping plan that aligns with your vision. Once we’ve come up with a plan that you’re satisfied with, we get to work. Our uniformed landscape technicians will work hard to complete the landscaping project in a timely manner. In a very short time, you can have the yard that you’ve always dreamed of! Why not call us today to discuss your landscaping ideas? Our initial consultation comes at no cost to you, and you have everything to gain. Contact Apple Valley Eco-Landscapes today!